Imogen's Typewriter. 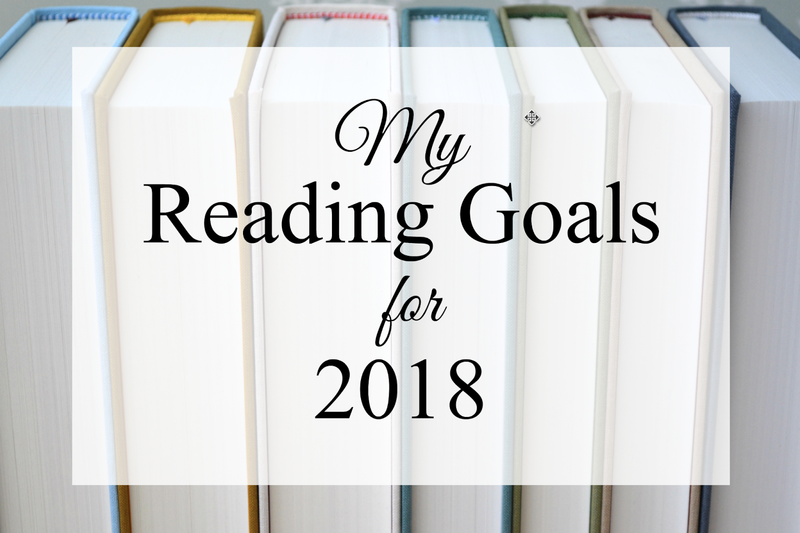 : My Reading Goals for 2018! I love setting reading goals for a new year. Even if we're twenty days in, but it's actually my birthday today so it's like a new year all over again for me! I start a new Goodreads shelf on this day anyway, to track what I'm reading at what age. The shelf of everything I read when I was 20 is vastly different to the shelf of what I read at 23! I want to read some chunky books. For me, big books are any over 400 pages but this year I'm looking at some 500+ page beauties. Maybe even 600+ pages. Who knows! I just feel like challenging myself to stick with a book for a good long time. 3. Read all of my 18 Books I want to Read in 2018 list! My Goodreads goal is set to 18 this year after failing my first attempt at a challenging number last year, but in my mind, it's these 18. I really think I covered classics, non-fiction, new releases and starting and finishing series well. I don't really read diversely. I do read mostly women but last year I only read two books written by a POC, and four that had LGBTQIA+ characters. That's pretty garbage! So in 2018, I want to diversify my reading more. I definitely want to read more books with characters that are LGBTQIA+. Hit me up if you have any recommendations! 5. Thread them all on Twitter! I've seen a few of these threads over the last year and I was envious of those who had them for their 2017 reads. So I started my own. I'm hoping that I'll be able to see trends and patterns at the end of the year with it all written out linearly.